Brand: Wind & Willow WW-33110 Units: 1 mix From Wind and Willow company. Make up this beautifully packaged and delicious mix. Just add 8 oz. cream cheese and 4 tablespoons butter. Serve on crackers, breads, bagels, etc. Use to fill veggies such as celery and cherry tomatoes. From Wind and Willow company. Make up this beautifully packaged and delicious mix. Just add 8 oz. cream cheese and 4 tablespoons butter. Serve on crackers, breads, bagels, etc. Use to fill veggies such as celery and cherry tomatoes. 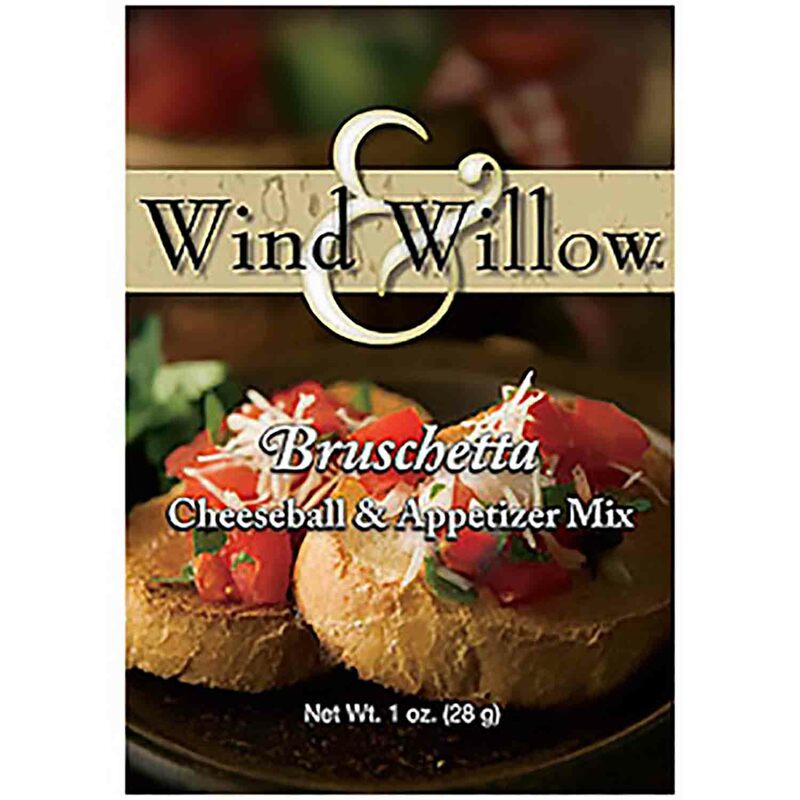 Ingredients: Cheeseball: Dehydrated Tomato, Maltodextrin, Whey, Salt, Dehydrated Garlic, Spice, Autolyzed Yeast Extract, Natural Flavor (BHT, Datem), Hydrolyzed Soy Protein, Hydrolyzed Corn Gluten, Hydrolyzed Wheat Gluten, Paritally Hydrogenated Soybean Oil, Citric Acid, Malic Acid, Unmodified Corn Starch, Sugar, Lactic Acid, Calcium Lactate, Disodium Inosinate, Disodium Guanylate, Caramel Color, Dehydrated Onion, Beef Extract, Silicon Dioxide, Sulfites. Topping: Dehydrated Tomato, Dehydrated Garlic. Contains Milk, Soy, Wheat.